When spring comes, it melts the snow. Where will all the water go? The first harbingers of spring can be seen in the forest—as the wet snow begins to melt. The little squirrels Mick, Mack, and Molly can’t believe that snow can turn into water. That is, until they discover a floating tree and use it as a raft. This gentle adventure, told in rhyme, is a wonderful celebration of nature and friendship. Kazuo Iwamura “engages young children with his lovely illustrations and charming characters,” said Through?the Looking Glass in a review of Hooray for Fall! Mr. Iwamura studied at the Tokyo National University of Fine Arts and Music, and started his career as an illustrator for children’s television programs. He is the author and/or illustrator of dozens of popular books. Kazuo Iwamura lives with his family in Mashiko, outside Tokyo. Sincere and serene, with masterful, atmospheric illustrations. 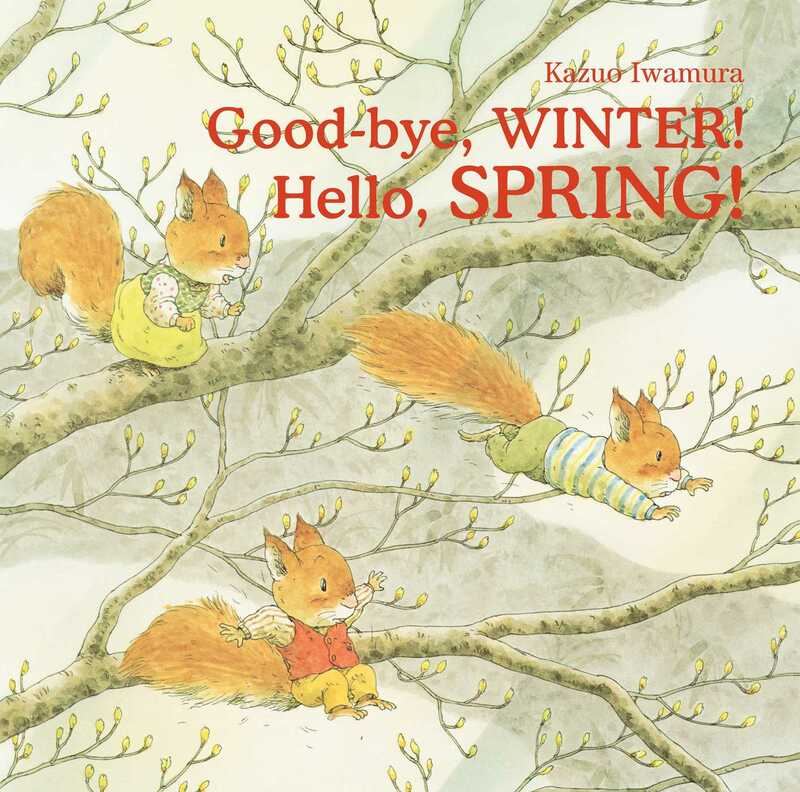 First published in Japan, this charming picture book includes artwork defined by precise, graceful ink drawings, warmed with color washes, and suffused with the beauty of woodlands as winter turns to spring. A good starting place for discussions of seasons or the water cycle, this appealing picture book also offers a satisfying excursion for young armchair adventurers. Book Cover Image (jpg): Good-bye, Winter! Hello, Spring!